The French School of Spirituality (École française de spiritualité in French) was the principal devotional influence within the Catholic Church from the mid-17th century through the mid-20th century not only in France but throughout the church in most of the world. A development of the Catholic Reformation like the Spanish mystics and the Society of Jesus, it focused the devotional life of the Catholic faithful on a personal experience of the person of Jesus and the quest for personal holiness. It was perhaps more concrete than the Iberian example and thus easier to teach, but it shared with the Spanish saints their focus on the Divine Person. This movement in Catholic spirituality had many important figures over the centuries, the first being its founder, Cardinal Pierre de Berulle (1575–1629). The spiritual and apostolic current of the French school of Spirituality holds a significant place in nearly all the histories of spirituality. Bérulle's teaching was rooted in the thought of the Church Fathers. 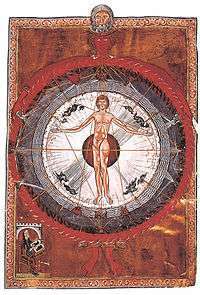 Among the characteristics of the movement were: a deep mystical experience, a detailed and well-adapted method for instructing others, and a special concern for the dignity of priests, their holiness and formation. The French clergy of the 17th century were not, for the most part adequately trained, and they received little support from the bishops, many of whom did not even live in their dioceses. Most ordinary Catholics were uneducated and not immune to the influence of superstition and witchcraft. It is difficult to exaggerate the paramount importance of the parish missions, given in rural areas as well as in the cities and even at the court itself. All the leaders of the French school not only took part in them but also clarified the underlying theology of the parish mission. The missionary renewal went hand in hand with an educational renewal and with a multitude of apostolic initiatives. The drawing room of Berulle's cousin, Madame Acarie’s became a veritable center of Catholic revival. 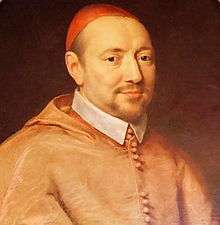 Francis de Sales's (1576-1622) influence on the French school was significant. Neither a Frenchman nor an Italian, Francis was a native of Savoy and spent most of his life there between France and Italy. He was in Paris from 1578 to 1588 at the Sorbonne. During his second stay as a bishop in 1602, he gave many sermons and met the circle of Madame Acarie, including perhaps the young Berulle. His third stay, from fall 1618 to late summer 1619, brought him together with Vincent de Paul and Berulle. Francis de Sales and Vincent became friends, and before death, De Sales entrusted the De Paul with responsibility for the Visitandines in Paris. In his last year of life (1622), while in Lyons, Francis de Sales visited the Olier family and blessed the young Jean-Jacques, an adolescent of fourteen. Before founding the Society of Saint-Sulpice Olier worked the missions under Vincent de Paul. De Sales writings had great influence throughout that period. His Introduction ala vie devote (Introduction to the Devout Life, 1608) went through many editions. Pierre de Berulle, Charles de Condren, Jean-Jacques Olier, and Jean Eudes, the four founders of the French school of spirituality were men of many contrasts. Like his friend, Saint Francis de Sales, Berulle was a renowned director of souls. Addressing himself to advanced souls, his direction was dogmatic in tone. His great concern was to give souls living principles. The Bishop of Geneva, on the other hand, wrote for all kinds of people, beginners as well as those who had made some progress and his direction was psychological and moral, rather than dogmatic. De Sales taught men right living rather than right thinking. Berulle's direction was for the mind, Francis de Sales' was for the heart. Charles de Condren was an early disciple of Berulle and was to succeed him as superior of the Oratory of Jesus. He absorbed his master's teaching, making it his own in his own way. His attraction led him to meditate, above all, on the priesthood and sacrifice of the Savior. Condren's spiritual conferences inspired many, including Jean-Jacques Olier. 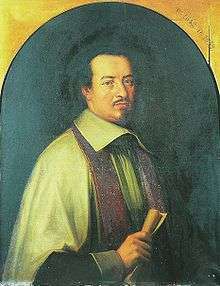 Jean-Jacques Olier was prepared for his ordination in 1633 by Vincent de Paul. Francis de Sales was a family friend. Condren sent him to work the missions of Auvergne. He is principally known as the founder of both the Seminary and Society of Saint-Sulpice. Jean-Eudes entered the Oratory in 1623, but left after twenty years to found the Congregation of Jesus and Mary. Promoting devotion to the Sacred Heart, he prepared a proper Office and a Mass for the solemnity and octave of the divine Heart of Jesus. In 1648, he published at Autun the first edition of his Office of the Heart of Mary. Berulle was a great theologian and mystic who had a strong influence on his time. Berulle's contribution was the absolute focus on Jesus, the incarnate Word of God, both in his sublime divinity and in his complete debasement as God become man. Centered on this person who abased himself willingly to enter the human estate, the devotional end for the faithful was to abandon all ego and vanity so that the person of Christ might become incarnate in the believer. He introduced the Carmelite nuns to France in 1604 and founded in 1611 he founded the Oratory of Jesus, a group of diocesan clerics whose purpose was to restore the dignity of the priesthood. Another disciple of Berulle's was Jeanne Chezard de Matel who went on to found the Order of the Incarnate Word and Blessed Sacrament in Avignon, France. The express purpose of these cloistered women was to give adoration to Christ incarnate, making liturgy a matter of worshiping God in awe and mystery and through their presence make "an extension of the admirable Incarnation." It was through Berulle that Vincent de Paul became chaplain to influential Gondi family, through whom De Paul met a host of important people in high society and the Church. exaltation of Christ by the faithful and the movement of the will to make oneself Christ's humble servant. Devotion to the Sacred Heart of Jesus and the Immaculate Heart of Mary through chaplets (particular rosary-type prayers) and litanies. 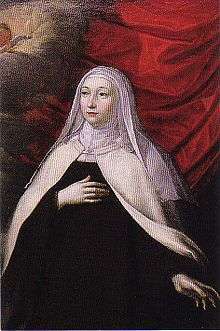 Jeanne Chezard de Matel (1596-1670), foundress of the Sisters of the Incarnate Word in Avignon, France, in December, 1639.